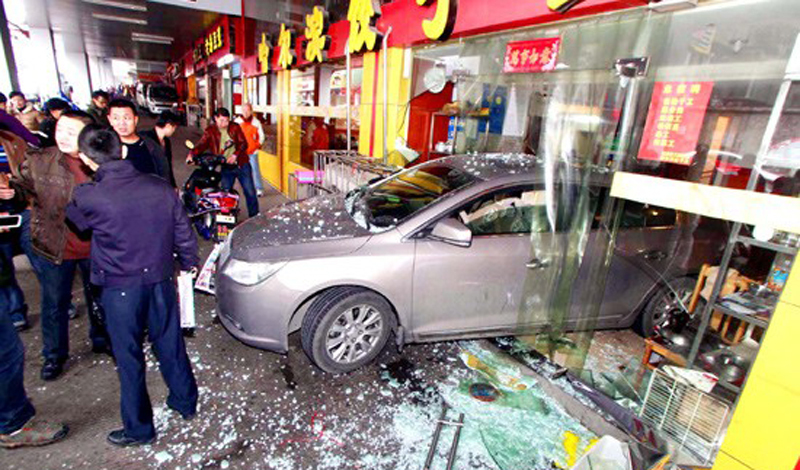 Yesterday (Saturday) a certain Ms. Chen Xing (陈姓) managed to reverse her car into one of my favourite restaurants. How she managed this is a total mystery. It would be very difficult to get a car into this part of the street in question, never mind reverse it through a shop front. 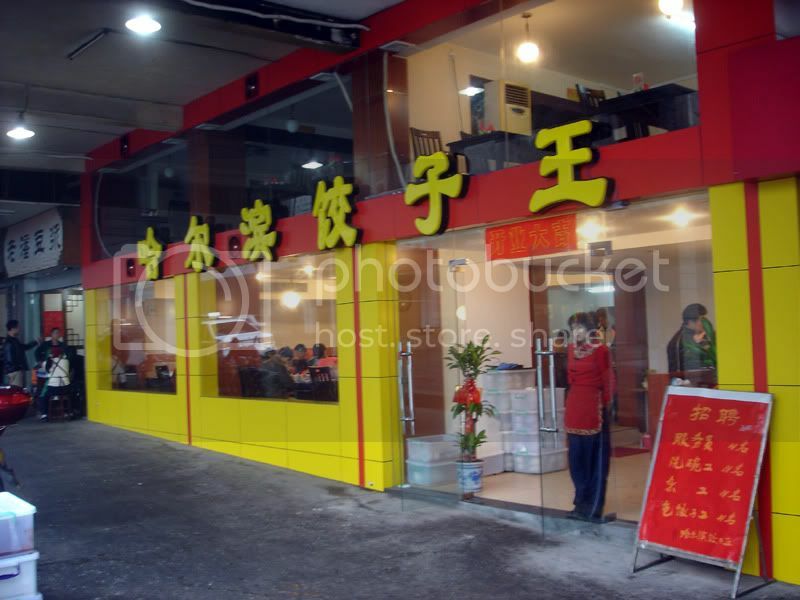 The Harbin Jiaozi restaurant on 立新路 is an old favourite. It doesn’t only serve jiaozi, but in my opinion, it serves the best in Liuzhou. Check out their tiger salad and other dishes, too. A very popular place. Get there early for lunch. It packs out. At around 10 am Ms Chen turned up. At that point of the street it is virtually impossible to get onto the sidewalk by car and why should she be on the sidewalk anyway? There are arches at the side preventing access. But she somehow used her excellent driving skills to wend her way through then managed to smash, in reverse, through the restaurant entrance where that girl in red is standing. Refrigerators, air conditioners, and items of furniture were destroyed but fortunately, no one was injured. If it had been one or two hours later, it may be a different story. Ms. Chen has been unable to offer any coherent explanation of what she did or how she did it. Just another useless driver in China. The restaurant remained open throughout the incident and normal service has resumed.
. This entry was posted on Sunday, December 2nd, 2012 at 6:08 pm	and is filed under Liuzhou News, Restaurants, Stupidity, Traffic Traumas. You can follow any responses to this entry through the RSS 2.0 feed. Both comments and pings are currently closed. “useless driver” a tad harsh , obviously just took your advice to heart . You’ve got to admit , she’s first in line……great initiative I think . I saw them replacing the door after i returned from work, never would have guessed this happened. How can you get your car under the arches, and if you managed how can you turn?